The Second World War has stolen Rosalie's fiance from her. 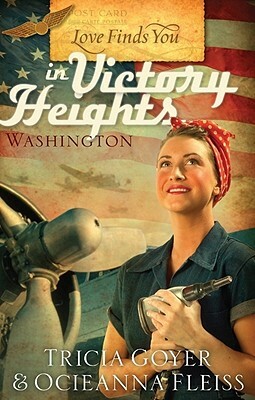 But rather than wallow, Rosalie throws herself into her work at the Boeing plant in Victory Heights, shooting rivets into the B-17 bombers that will destroy the enemy. A local reporter dubs her Seattle's Own Rosie the Riveter, and her story lends inspiration to women across the country. While Rosalie's strong arms can bear the weight of this new responsibility, her heart cannot handle the intense feelings that begin to surface for Kenny, the handsome reporter. Fear of a second heartbreak is a powerful opponent - but will it claim victory over love?